Red Bull chief technical officer Adrian Newey expects Mercedes and Ferrari to benefit most from the clampdown on off-throttle exhaust blown diffusers at the British Grand Prix, and admitted RB7's loss of performance will be significant. All the teams use exhaust gases to enhance the performance of their diffusers and most have developed elaborate engine maps to maintain a constant stream of gases to the rear of the car, even when the driver is off the throttle. At the British Grand Prix the sport's governing body will restrict off-throttle exhaust blowing to 10% of full throttle, which should result in a decrease in performance for all of the front-running teams. Red Bull initially questioned the decision to make such a significant rule change mid-season and Newey is concerned it could give some of its rivals an advantage. 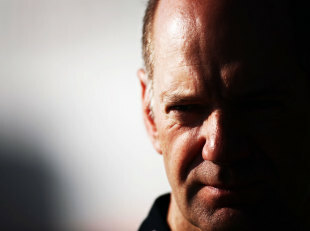 "We've got a regulation change, let's face it," Newey told BBC Sport. "How that is going to affect us compared to the others is difficult to tell. Lotus Renault, they're the ones who have clearly designed their car around the exhausts, so they I would imagine must be concerned. We designed our car around the exhaust in as much as we had the exhaust solution that you see on the car from very early on in the research of RB7. 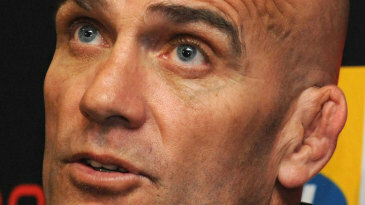 "So we've never taken it off before and we don't know how that is going to affect us compared to our direct competitors. I think probably that Ferrari and Mercedes will be less affected than we are, McLaren may also be less affected. We designed and develop the car around it the others fitted it basically for the first race." The change will lessen the amount of downforce the drivers have off throttle and could change the balance of the car on corner entry as a result. Despite Red Bull testing different engine maps on Sebastain Vettel's car in Friday practice at Valencia, Newey said the full affect of the rule change is still unknown. "We've done some simulation, but we haven't actually run it on the track yet and we don't know how much it will affect the balance of the car," he said. "That's where simulation tends to fall down as you need a real car going round a real track with a real driver. It's significant, but I don't want to put a number on it because I don't know if that number is bigger or smaller than others." McLaren's Lewis Hamilton is concerned that his team will be hit hard by the rule change and that he could experience a step back in performance at his home grand prix. "When you go to Silverstone the desire to win is even greater because it is your home race, and the fans are spectacular," he said. "But we're not fast enough, and with the regulations changing I personally think we're going to make another step backwards. I'm a little bit nervous about it. I think we might be affected more than the two teams ahead of us [Red Bull and Ferrari]. It will be even worse for us."